COLUMN DESIGN: Authentic Replication wood columns. Roman Corinthian capitals and Ionic (Attic) base moldings / plinths. PROJECT COMMENTS: The interior of Clayton State College features large, colossal style Authentic wood pilaster columns (split in half), with Roman Corinthian capitals and Attic bases. During this project, (4) of Chadsworth’s Pine columns were utilized, along with (10) of our Roman Corinthian capitals. The pilaster shafts were faux-finished to look like marble, and the capitals were painted in a gold color. 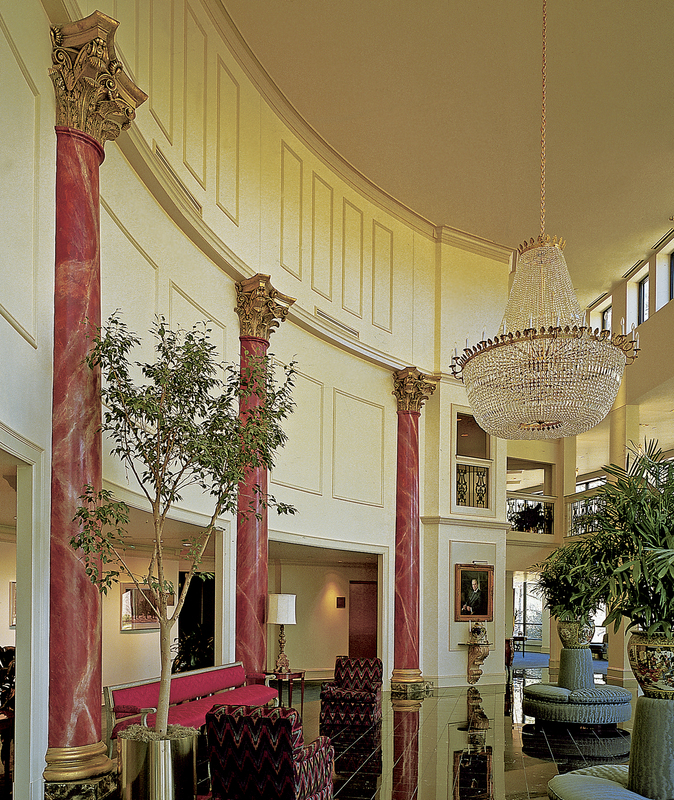 This entry was posted in Educational Developments and tagged atlanta georgia, Authentic Replication Wood Columns, chadsworth columns, clayton state college, decorative pilaster shafts, faux marble columns, interior wood commercial columns, pilaster columns, pine columns, roman corinthian column capitals by Chadsworth Columns. Bookmark the permalink.